Learning to read is hard work! It is such a precious and important time in a child’s life, and it is not a skill that develops overnight. 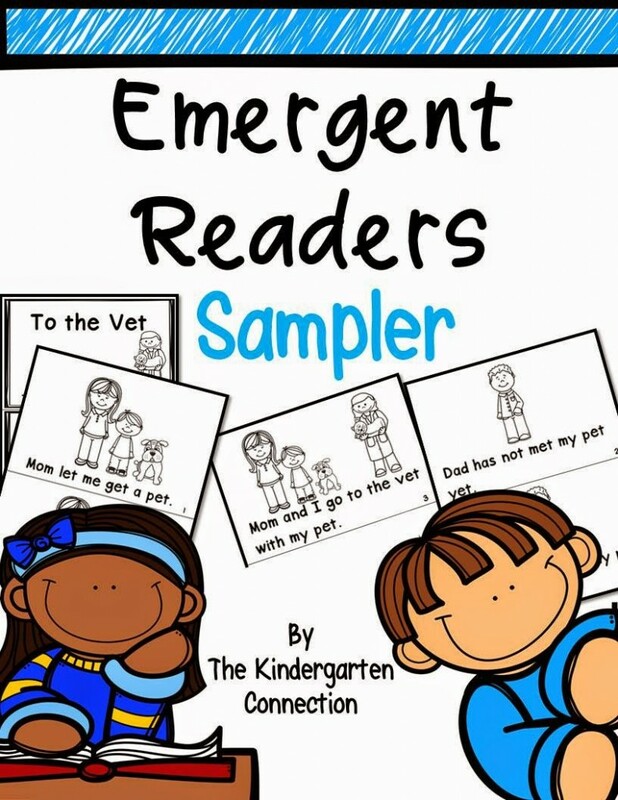 Fostering the development of an emergent reader is like caring for a delicate flower. You need to water it, care for it, and tend to it in order for it to bloom and thrive.As a Kindergarten teacher, I have the privilege of being a part of this magical process with the earliest of readers. 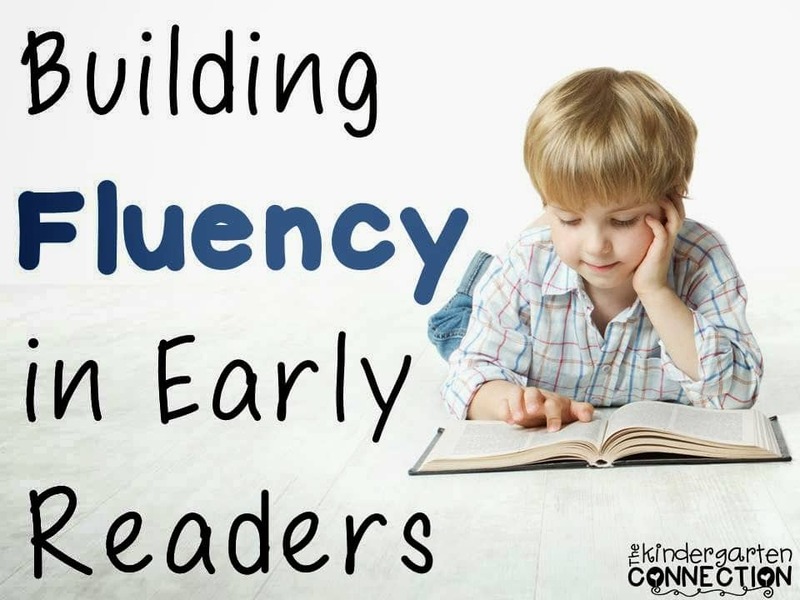 Learning to read is not something that happens at the same time for everyone. No matter what standards say or what is “supposed to happen” – it truly depends on the child and their development. 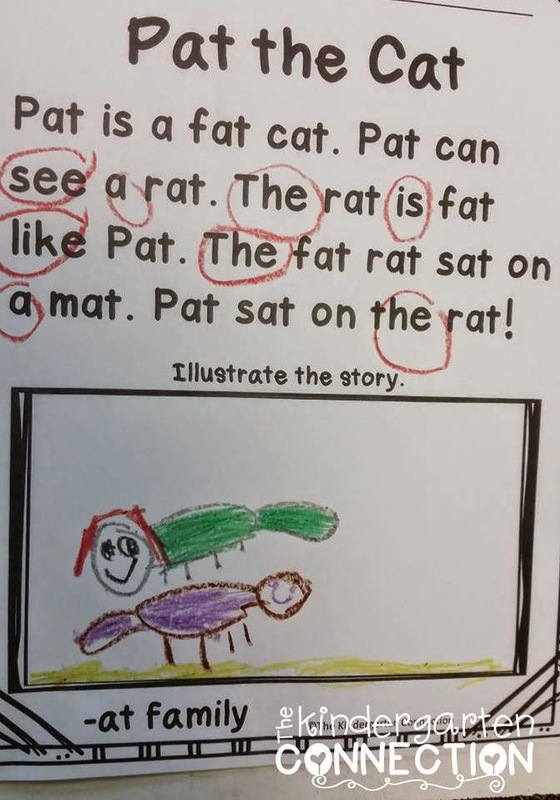 At this point in the kindergarten year, I have many students who have strong reading foundations. 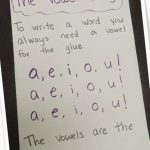 They know most or all of their letters and sounds, have word family and sight word knowledge and can decode cvc words in isolation. 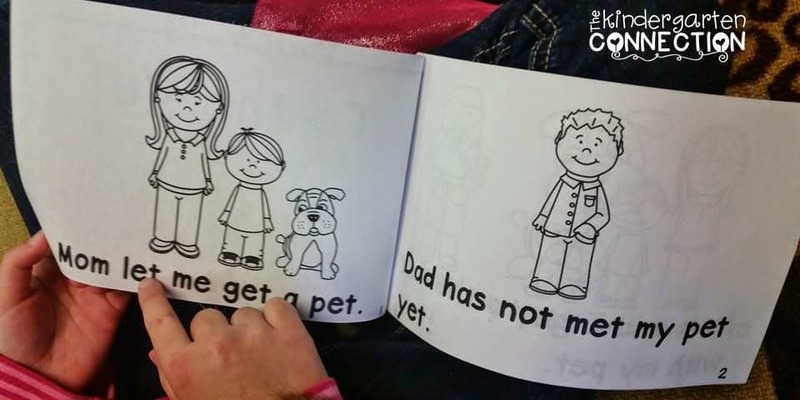 However, they need practice putting words into the context of a story and truly seeing themselves as readers. 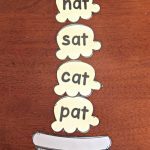 I love word families for the practice they provide in recognizing chunks of words in bigger words, and how they open up so many cvc words for kids once they realize they know the “chunk” or rime. As any expert in anything will tell you, they got there through hard work and practice! 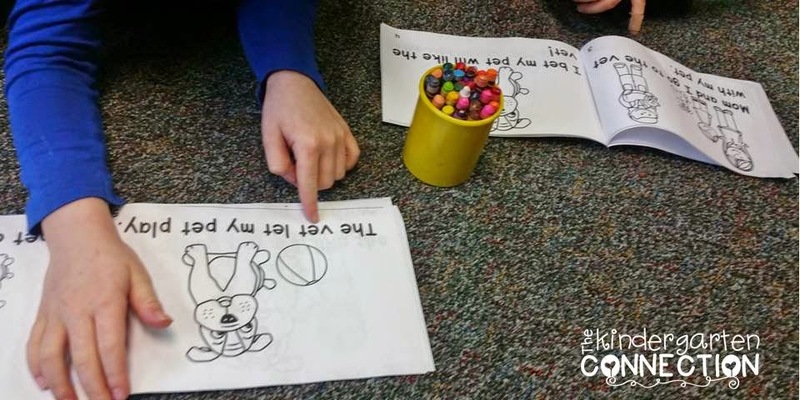 In kindergarten, we have fun, but we work hard and practice at the same time! When hard work and fun come together, my teacher heart is very happy! 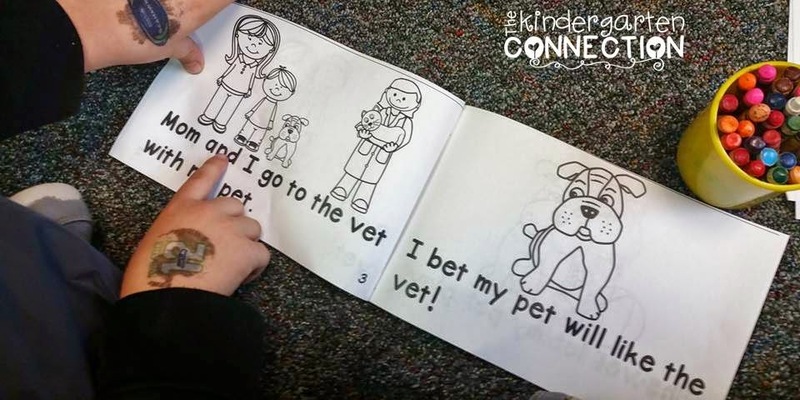 My students that are ready to build fluency with cvc words and sight words have started to work through fluency and comprehension passages to practice reading complete stories. They are also reading phrases to practice words and sentences in isolation and reading out of context. 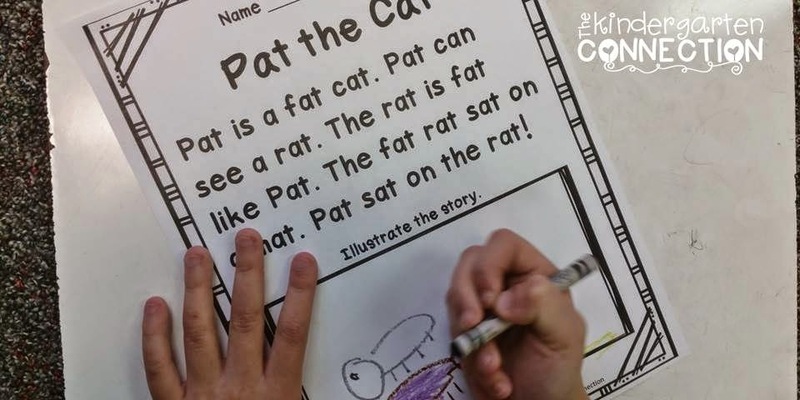 Reading simple stories builds confidence in early readers and also helps them develop expression and phrasing in oral reading.Highlighting the word families (in ours you see this student decided to find some sight words!) 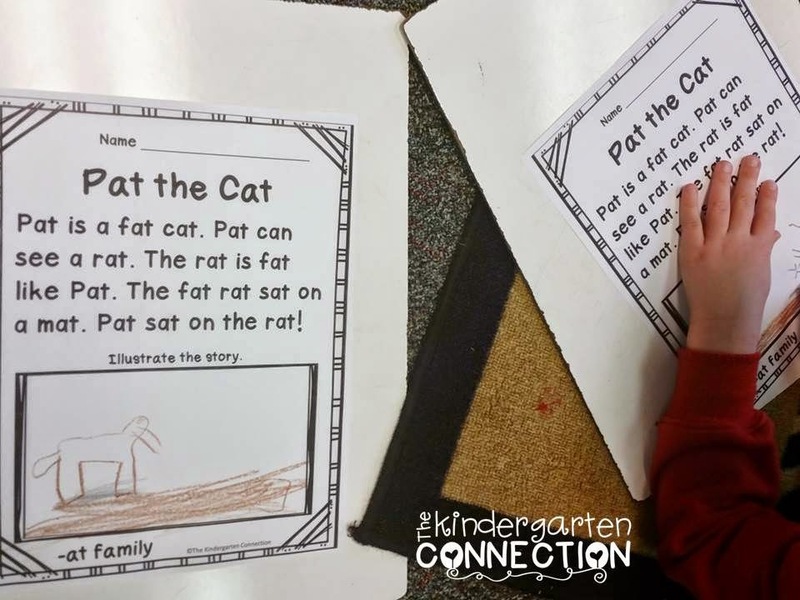 builds awareness of like patterns, and illustrating the story shows comprehension development. Plus, they love to call themselves the illustrator! How fun! 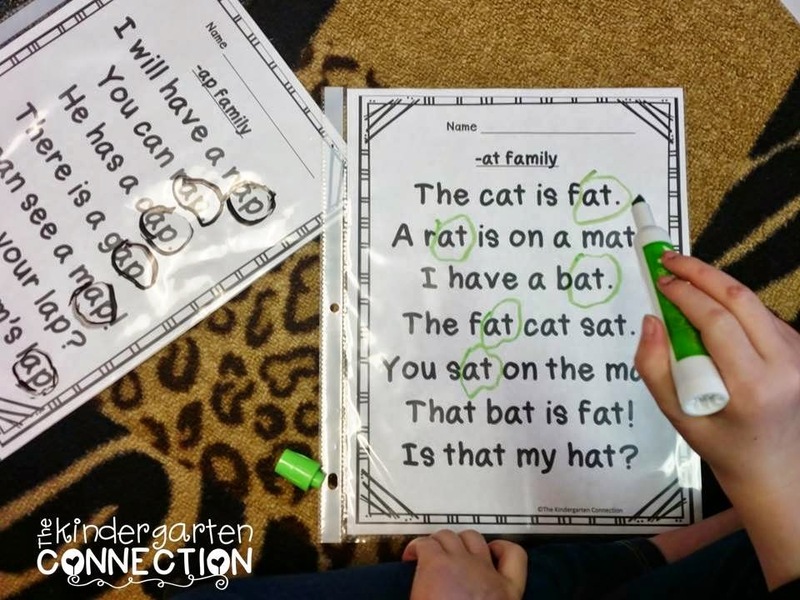 Reading phrases in isolation gives early readers a chance to practice reading expression, one to one correspondence, decoding, and sight word recognition.Putting the phrase sheets in a sheet protector allows them to be read over and over again in class. 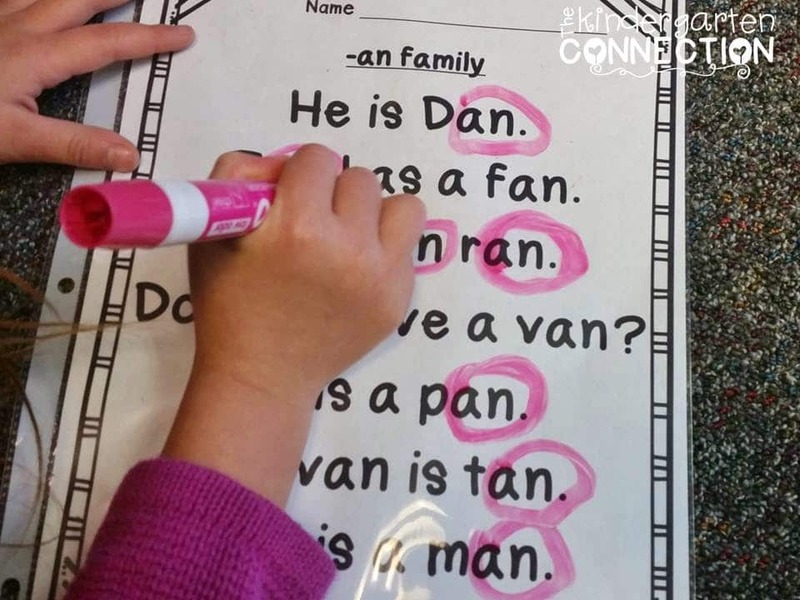 Plus, it gives us a reason to use dry erase markers to find word families!We LOVE dry erase markers in kindergarten. It is also important to spend time with books at a just right level!Emergent reader texts with illustrations can give comfort and a major confidence boost to early readers when they start to realize “Hey, I CAN read!”I absolutely love that face on a child – when you can tell they are seeing themselves as a reader and are so excited about it. 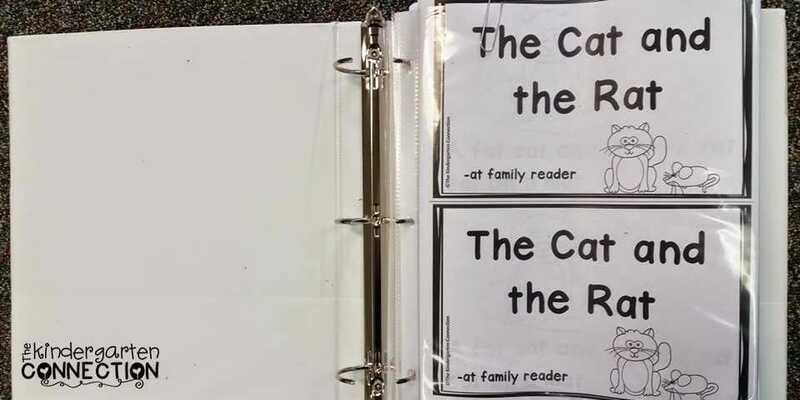 My favorite thing about these emergent readers is the larger font – I find it to be SO helpful for early readers as it is large and clear for their decoding. 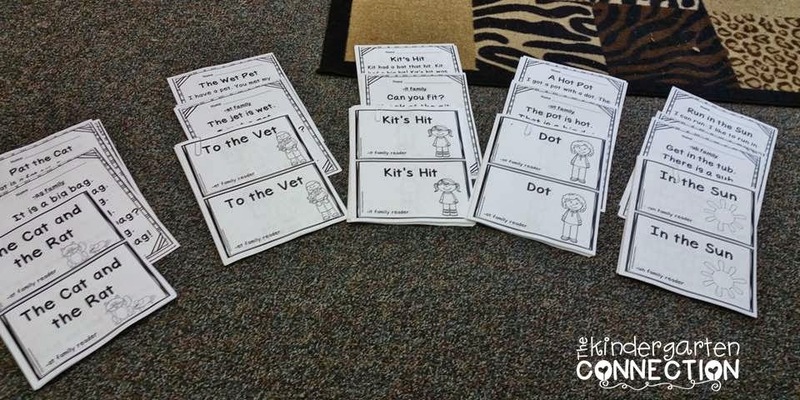 I love using these tools in my small groups – I find them so helpful, engaging, and FUN! I like to keep things organized in binders, so I decided to do the same with all of these word family activities. 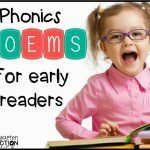 I laid them out by vowel (fluency passages, phrases, and emergent readers). 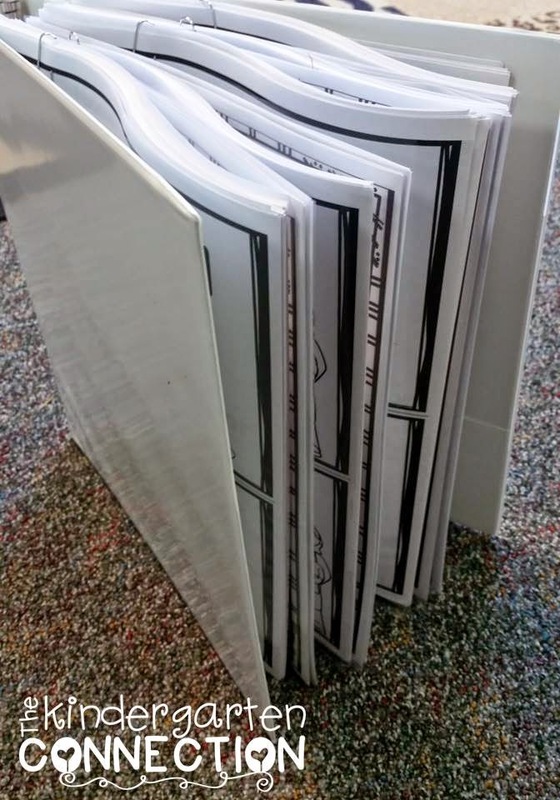 Then I put the sets in sheet protectors (not each page, but the sets together) and put them in a 3 ring binder! 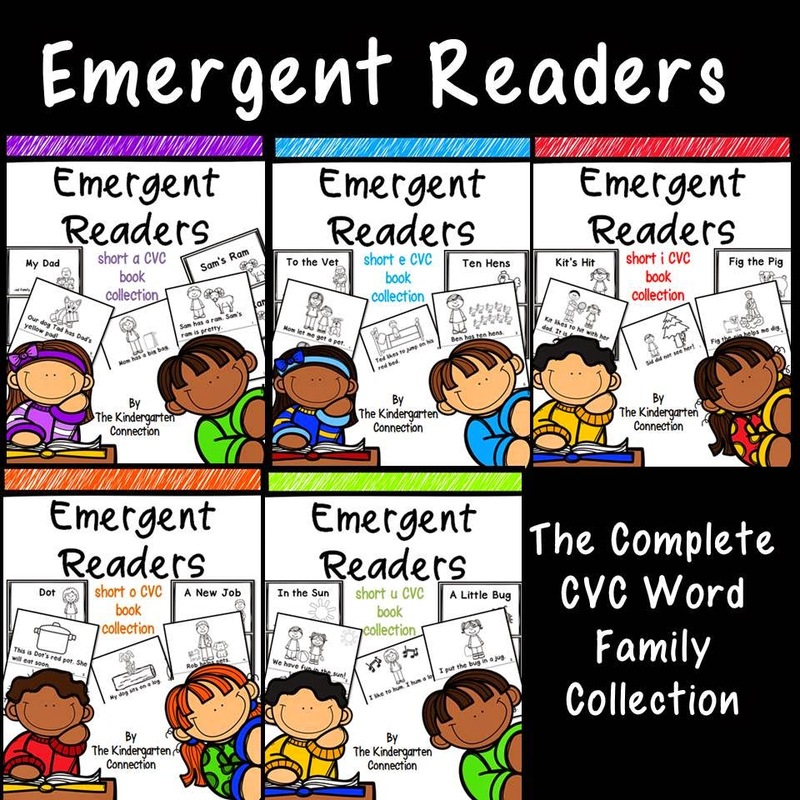 Now, when I am working on blending cvc words with a specific vowel or word family, it is right at my fingertips! The pictures below each link to freebies for you! 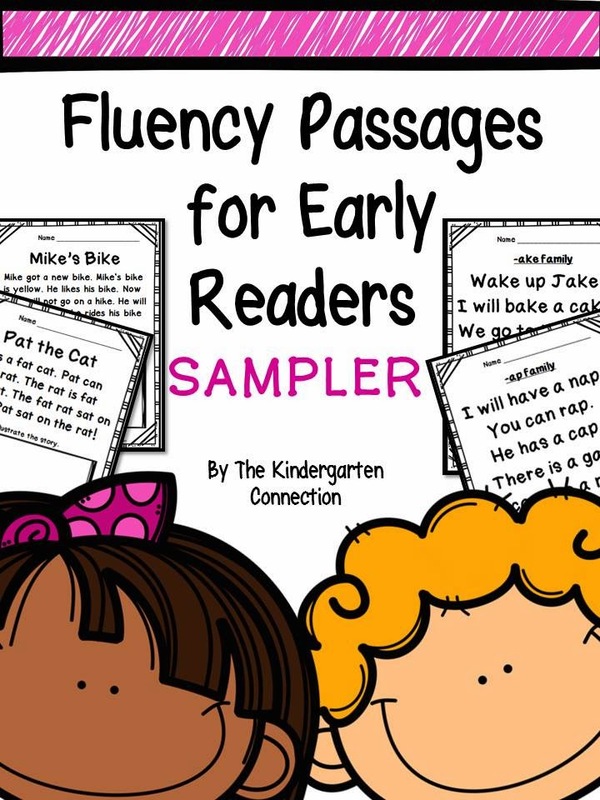 I hope you are able to try and enjoy fluency passages, phrases, and an emergent reader in your classroom! 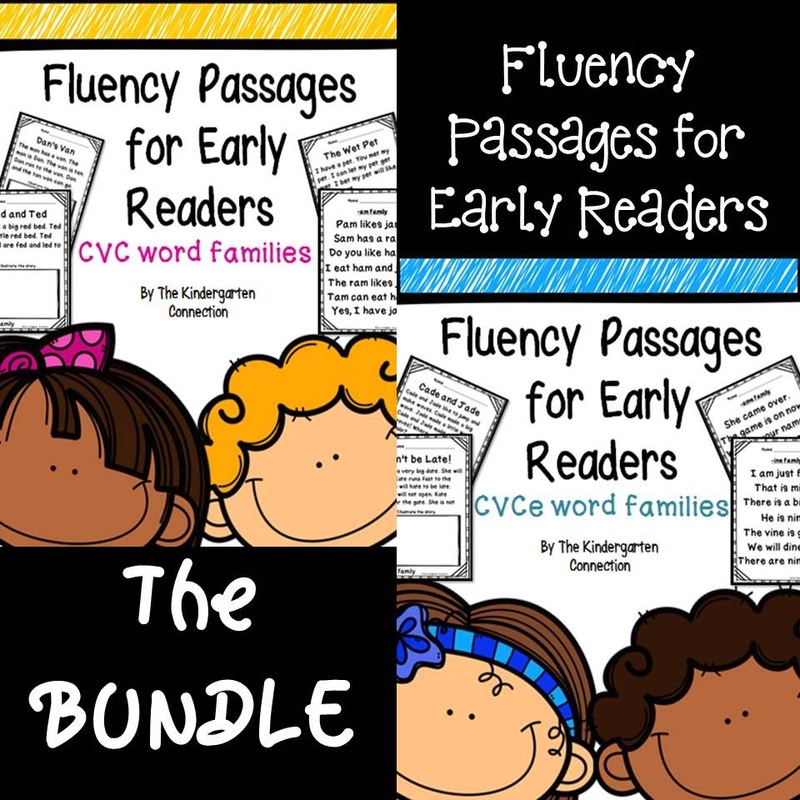 The complete collections of Fluency Passages for Early Readers and Emergent Readers – The Complete CVC Word Family Collection are available in my TpT store! 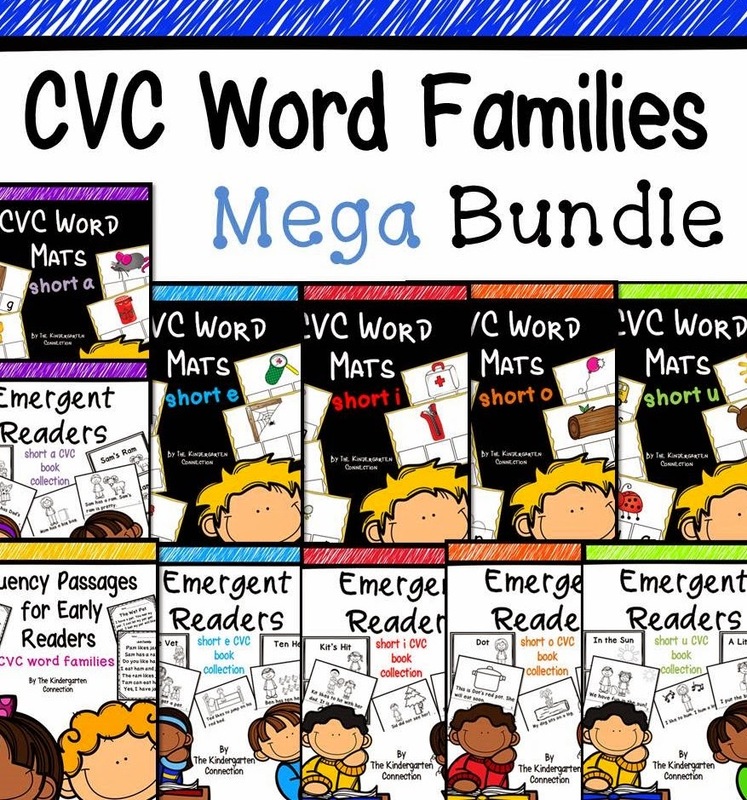 You can also get these, plus CVC word mats at a big discount in the CVC Word Family Mega Bundle! Wasn't sure if my other comment posted as I don't see it. I love these and saw that your post said they were freebies. I'm a homeschooling mom who would be so honored to expose my son to your awesome pages. I clicked the link and they now cost a bundle. Would you please email me these?? Thank you, your dedication is appreciated! Hi Kristin! In the samplers you are able to grab some freebies! There are a few passages and an emergent reader free for people to try. Please click the sampler pictures (the ones with blue and pink borders) for a few freebies. Please let me know if you have any trouble downloading those! The big bundles are a complete collection containing either many readers or additional items, which is why those are not freebies. Those have always been priced due to them being a complete collection. They are linked here to show what packs the freebies are from so that you know what they are. I hope that makes sense and that you are able to use the samples in some way! If you have any questions or would like me to direct you to some other forever freebies feel free to use the contact me tab and send me an email! 🙂 I'm happy to help!